This concert is the latest installment of the Duke Ellington School of the Arts’ Performance Series of Legends that has previously featured Dave Chappelle, Denyce Graves, Stevie Wonder, Earth Wind & Fire, Smokey Robinson and Patti LaBelle. Led by Founder Peggy Cooper Cafritz and Head of School, Rory Pullens, The Duke Ellington School of the Arts has taken an innovative, entrepreneurial approach to fundraising in order to support its dual arts and academic curriculum. 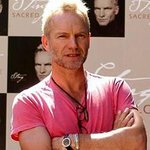 “We are absolutely thrilled that Sting has offered his resources and talents to our school. His contribution through this performance series not only gives our students inspiration and valuable exposure, but provides a source of revenue that enables us to continue the important mission of providing arts education excellence to deserving students who wouldn’t otherwise have this opportunity,” states Rory Pullens, Head of School and CEO of the Duke Ellington School of the Arts.